With the North Sea to the east and surrounded by the counties of Norfolk, Essex and Cambridgeshire on the other three sides, Suffolk is an East Anglian county with a colourful history to its name. Suffolk is low lying, with a few hilly regions strewn about and the wetlands of the Broad to its north. Most of the land is arable. The scenic beauty of the county is best expressed in the Suffolk Coast and Heaths, an area with rich biodiversity. 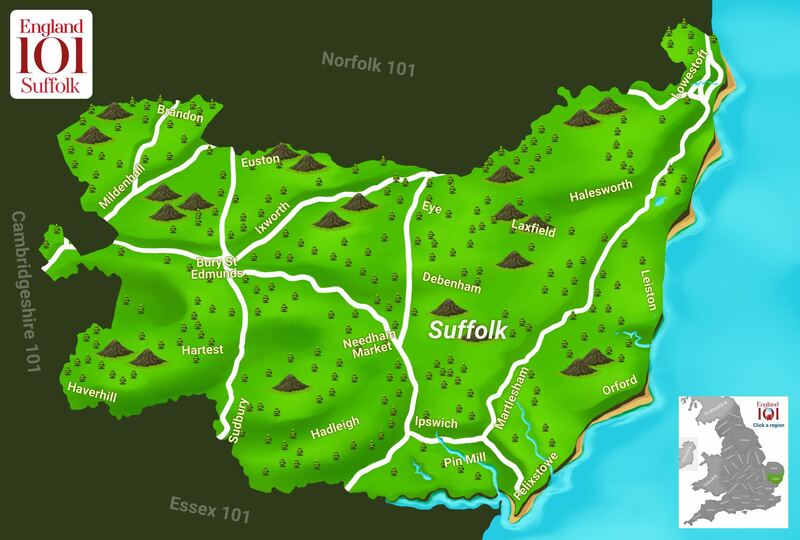 From an archaeological standpoint, Suffolk is an interesting site with many remnants dating from the Stone Age as well as the Iron Age and the Bronze Age having been excavated here. Such discoveries include samples of armour, utensils, statues, jewellery, weapons and clothes that date back to the era. Sutton Hoo, located to the east of Suffolk is one of the most remarkable Anglo-Saxon archaeological sites in England till date. Here, the burial of a ship with a collection of treasures has been unearthed. Suffolk also boasts of a healthy economy which is largely reliant on agriculture. Agriculture practiced is both of the mixed and the arable variety and a number of fairs and shows are arranged throughout the year. The industrial base in the county is strong as well. Food processing and services based industries are performing very well in their respective areas to boost the economy of Suffolk. Livestock raising and Nuclear Power Generation are other avenues of generating income in the region. A number of places of historical interest are located in Suffolk, the most fascinating one perhaps being Sutton Hoo. 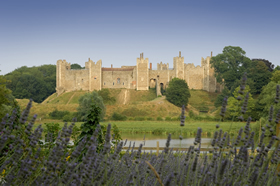 Other important attractions include the Bridge Cottage, Dedham Castle, Clare Castle, Framlingham Castle and Leiston Abbey. The Museum of East Anglian Life and Norfolk and Suffolk Aviation Museum both house interesting collections that would acquaint visitors with Suffolk’s history and heritage. Important both from a historic and economic point of view, Suffolk is a quintessential county in England that preserves the traditions of English lifestyle, as we know them. A visit to the county will definitely throw a number of surprises along your way. 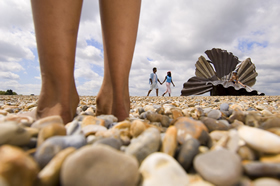 Family at the Aldeburgh Scallop, Maggi Hambling's sculpture on the beach, Aldeburgh, Suffolk. Framlingham Castle seen from across the mere at Framlingham in Suffolk. 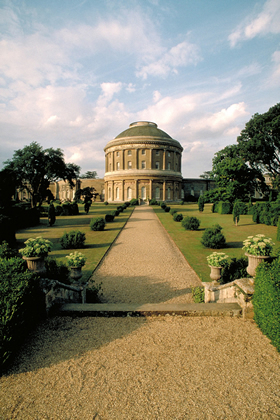 Ickworth House is a country house outside Bury St. Edmunds in Suffolk. 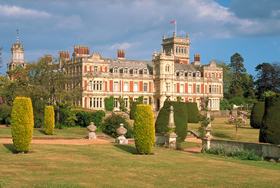 View of House and Gardens, Somerleyton Hall, Suffolk. 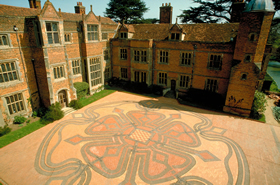 View of House, Kentwell Hall, Suffolk. How much do you know about Suffolk ?